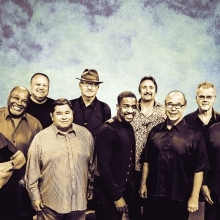 Tower of Power co-founder and tenor saxophonist Emilio Castillo tells ABC Radio that with the anniversary in mind, the group put its best effort into making a quality album, inspired by something one of the band's old managers told him. "He said, 'This isn't the time to just throw 12 songs together and put it out. You gotta make the best record of your career,'" Castillo recalls. Emilio explains that the group set out to achieve this by using "the Michael Jackson method, where you record way more than you need and pick the best 12." 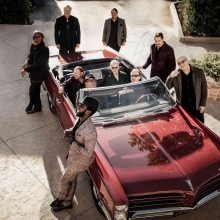 With help from producer Joe Vannelli, Tower of Power wound up with 28 finished tracks, 14 of which appear on Soul Side of Town. "I'm very proud of it," Castillo says of Soul Side of Town. "It is a very diverse record. It's a radio-friendly record. It's creative. We pushed the bar musically, production-wise, engineering-wise, lyrically...[on] every level." 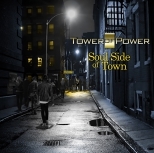 Released in June, Soul Side of Town debuted at #1 on Billboard's Jazz Albums chart. Meanwhile, the band has been chosen to receive the Lifetime Achievement Award from the online soul-music resource SoulTracks, which will present the honor to the band as part of its Readers' Choice Awards on December 10.